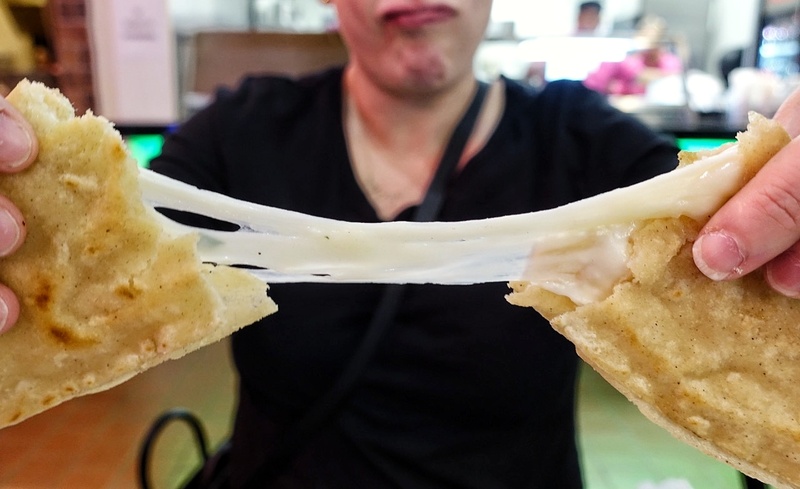 The cheese quesadilla at Las Quekas de la Abuela. 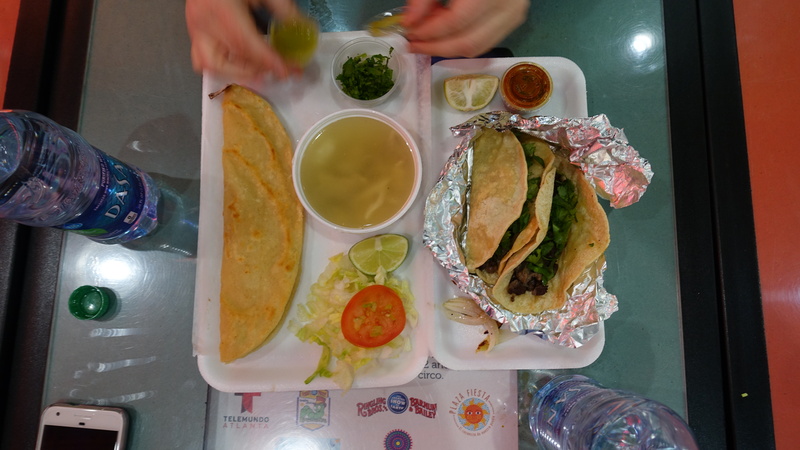 “Quekas” is slang for quesadillas, which in Mexico feature a corn tortilla (not flour) filled with everything from plain cheese, huitlacoche (corn fungus, which is considered a delicacy), pancita (tripe), stewed chicharron (pork skin) in salsa, and even chapulines (grasshoppers, also a delicacy). Las Quekas serves all of these and many more fillings. What initially caught my eye about Quekas was its tortilla machine. 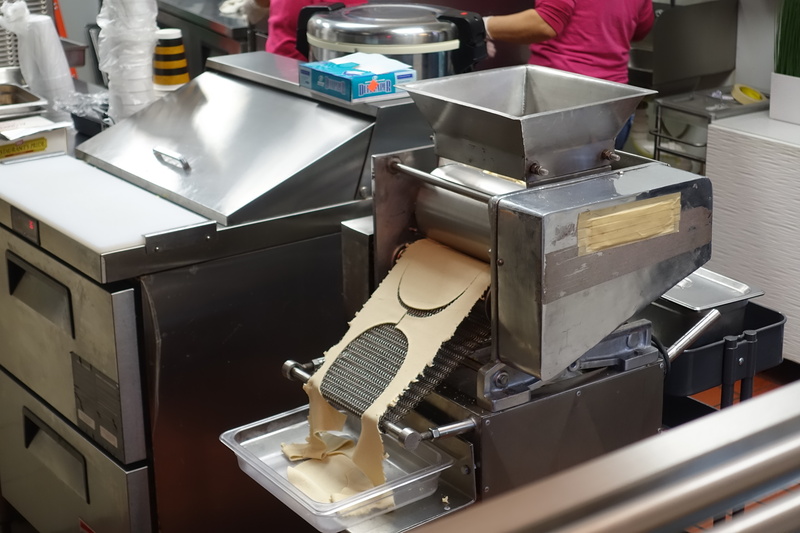 The machine cranks out fresh masa creations for a variety of treats, such as the 10-inch long quesadillas cooked on the comal (griddle), huaraches (flat oval disks loaded with toppings), tacos dorados (rolled and fried tacos), and tacos. 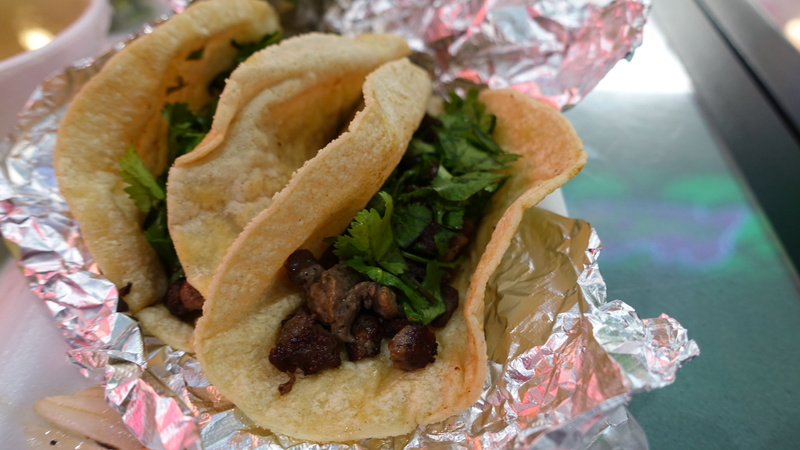 The tacos are the best item at Las Quekas and are in the running for best in Atlanta. Tacos at Las Quekas de la Abuela. Any Mexican or Mexican food aficionado will tell you the tortilla is what makes or breaks a taco. At Las Quekas, the tortilla, which is freshly made on the masa machine to order, is the star. It’s got a creamy freshness and depth of flavor that commercially made tortillas just can’t capture. After three visits, the asada (beef) tacos are my favorite. The beef is crispy, topped with chopped cilantro and onion, and stuffed into a generously sized tortilla. Salsas are the one item that need some work. They come in small plastic cups that are overly chilled from the fridge. Given a choice, go for the green. Tacos dorados at Las Quekas de la Abuela. One of my favorite dishes my mom used to make us were what we called “taquitos,” tortillas filled with chicken, rolled, fried, and topped with lettuce, onions, cream, and cheese. 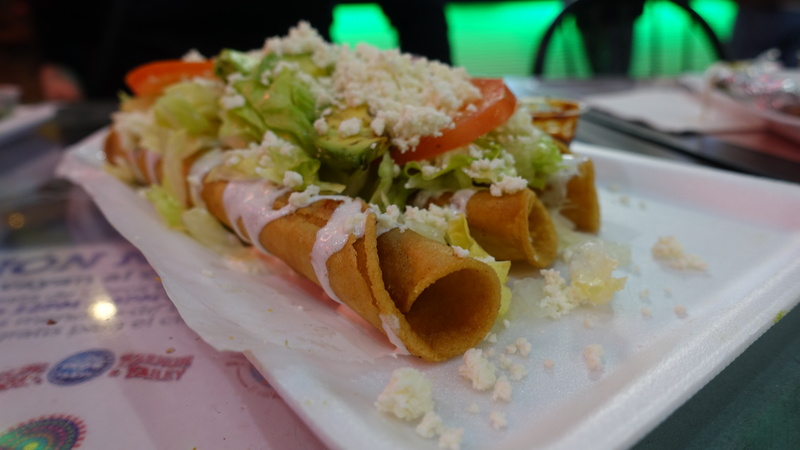 Most restaurants call these flautas or tacos dorados. At Las Quekas, they smother crunchy tortilla tubes of Mexican chicken wonder with lettuce, tomato, sliced avocado, cream, and queso fresco (farmer’s cheese). It also comes with a small dish of tomato-laced Mexican rice and refried beans. Also on the menu is a surprisingly excellent chicken soup with juicy chunks of shredded chicken, rice, and chickpeas. I repeatedly burned my mouth while I was eating here because the food excited me too much to wait. This is a run, don’t walk Mexican spot, folks. The tortilla machine at Las Quekas de la Abuela.